To participate in disability sport at an elite level, you need to go through a classification process. Classification is based on a person's functional ability to participate in a sport, and helps decide your eligibility to compete in regional, state, national and international competitions. Classification helps make sure athletes of similar abilities compete against one another. Classification is different for each sport and can be quite involved—start the process as early in your sporting career as you can. Classification is run by trained classifiers who can apply the guidelines and processes for classification on a sport-by-sport basis. They usually have either medical experience or are technical experts in their sport (such as coaches or former athletes). The Australian Paralympic Committee, working with national sports organisations, is responsible for training classifiers. observing them as they participate in their sport to establish the ideal classification group for them to compete in. The Australian Paralympic Committee can help with understanding classification. 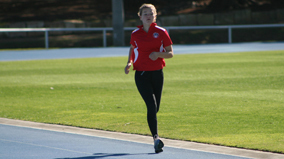 Queensland athletes who are Deaf or have a hearing impairment competed at the 2012 Australian Deaf Games and achieved great results.